Have you ever looked at an Instagram post and taken note of whichever restaurant, clothing company or beauty brand has been tagged in it? Did you then go eat that dish, track down that outfit or keep an eye out for the beauty product? If you have, you’ve contributed to the overall goal of an influencer marketing campaign: increased awareness. Influencer marketing software is a fascinating disruption of traditional marketing campaigns and endeavors, but the industry is becoming more and more saturated, making it difficult for newcomers to significantly impact and influence. To understand more about the influencer industry, check out a recent article outlining everything you need to know about Influencer Marketing. In December 2016, Shirley Yang founded MUSES App, a mobile application that connects influencers and businesses of all sizes to partner up to grow digital audiences. She was one of the five female startup founders who presented at March’s Women Tech Founders + Technori Startup Showcase. MUSES appeared at Technori to tease its app launch. Muses currently has Angel funding—funding that is given to a startup from friends, family and angel investors—which goes towards building the product, readying it for release and content marketing efforts. Yang specifically built MUSES as an app because she thought of the on-the-go, constantly networking end user. To her, “mobile and social go hand in hand. At least 80 percent of social media is conducted on mobile.” And because millennials and Gen Z-ers are the main demographic for social media influencers, she wanted MUSES’ community of influencers to congregate on that plane. MUSES allows Yang to combine her background in engineering with her passion for influencer marketing. She studied engineering at University of Southern California and worked in tech and big media before stepping into the head of social strategy role for multi-channel network StyleHaul. It was at StyleHaul where Yang bridged all sides to the process of influencer marketing. "You can't keep your influencers secret. It's hard to make them exclusive to you. I wanted to change that model and make influencers open-source." Taking cues from her all-hands-on-deck experiences, Yang has purposefully made the operations of MUSES App lean and mean. Yang is currently concentrating on building and sustaining a hardworking core lead team. As of now, there are five full-time employees in Chicago and three developers based in New York. Yang’s engineering background allows her to be her own product manager. “I can write my own requirements, I can do my own mock-ups,” she said. And, as an added bonus, it equips her with the coding language that helps her communicate with her developers. The app caters to anyone and anybody who wants to build an audience, but MUSES does focus on cultivating and working with local small to mid-size businesses because they’re the ones who need the most help. Those are the businesses who don’t have a huge marketing budget and have employees too busy running their companies to worry about creating social content, inadvertently missing out on the huge digital sector. This is where Yang is most passionate. When asked what specific parts of the influencer marketing industry needed disruption, she thought for a bit before carefully explaining. How? By making influencers open-source. “Agencies are still important, especially if you’re executing large-scale campaigns,” Yang said. However, there’s an inherent problem with businesses and agencies working with the small pool of recognized influencers. As an example, Yang described her own experience in partnering up and unexpectedly growing her network and personal brand. Yang and Carli Bybel, “one of the biggest beauty influencers,” attended a BCBG event during New York Fashion Week together. As an example, Yang turns to the popular “squad” photos that are everywhere on Instagram. “If you just post about yourself, it’s boring. You know those squad photos you see? Avoiding the "Ghost Town Effect"
That same idea applies to the steps that Yang is intentionally taking to grow the impact, reach and scope of MUSES App. Strategic partnerships are incredibly important to Yang, both to get the app off the ground with a running start and when looking forward to its global growth. The beta group launch is Yang’s determination to avoid the “ghost town” effect. The worst thing that can happen is if a brand-new user opens up the app and has no idea what to do because there’s no activity within the app. Yang is leveraging her connections for the beta launch. Yang wants quality activity happening in the app before the company publicly drives marketing dollars to growing it. For Yang, laser focus is absolutely key to the success of any sized business. She admitted that, “There’s so much that a founder would want to do. You can get so excited about different ideas, and you talk to different people and they can sway you here and there." 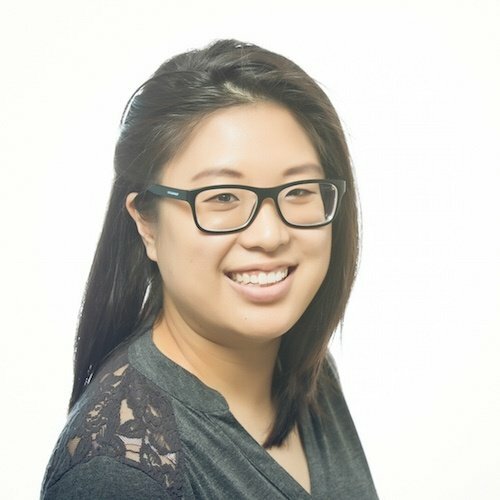 Yang is full of pep talks, which is helpful to her off-hours role as marketing chair at Women Tech Founders, a non-profit movement that supports and highlights the efforts of women in the tech world. “I think having strong female supporters around you is very important,” she said. That’s one of the lessons Yang has learned. She’s realized that “the road to success is more of a philosophical thing.” She’s discovered sheer perseverance and significant female relationships are lifesavers within the tech industry.